Palatine Park District presents a free annual outdoor movie night for the whole family on Thursday, August 17 beginning at dusk (approximately 8:15pm). The event was forced to take advantage of its advertised rain date due to inclement weather in Palatine last week. 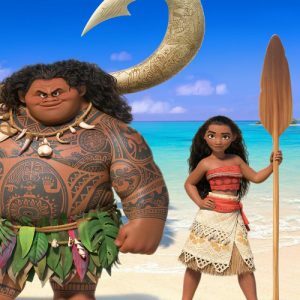 The Disney hit Moana will be shown at Fred P. Hall Amphitheater, 256 E. Palatine Road, in Palatine. Coolers, blankets, and chairs are encouraged and concessions will be available for purchase, including soft drinks and popcorn. Moana is inspired to leave the safety and security of her island on a daring journey to save her people. She convinces the mighty demigod Maui to join her on a voyage across the open ocean on an action-packed adventure, encountering enormous monsters and impossible odds. Family Movie Night is sponsored by Arlington International Racecourse, My Flavor It Place of Palatine, Orthodontic Experts, and Seven Hills Dental & Implant Center. For more information about Family Movie Night in the Park, contact Cultural Arts Coordinator Ashley Schiavone at 847.496.6237 or aschiavone@palatineparks.org. For weather cancellation, call 847.705.5123 x431 or visit our home page.